We are deeply saddened to announce that J. Bradley Aust, MD, PhD, the Dale H. Dorn Distinguished Professor of Surgery, died in the early morning of March 17, 2010. As founding chairman of the Department of Surgery of the University of Texas Health Science Center at San Antonio, Dr. Aust was critical to the growth and success of the Health Science Center, the University Health System and the South Texas Veterans Health Care System. Dr. Aust's graduation from the University of Buffalo Medical School in 1949 marked the beginning of a remarkable academic and surgical career. While in his surgical residency at the University of Minnesota Medical School in Minneapolis, his residency training was interrupted by the Korean War in 1952. Returning to the University of Minnesota Medical School in 1954, Dr. Aust continued his surgical residency, completing the program in 1957. He also earned a master degree in physiology in 1957 followed by a doctorate in surgery in 1958 from the University of Minnesota Medical School. In 1958, he was certified in Surgery and joined the faculty of the University of Minnesota as a scholar of the American Cancer Society. During Dr. Aust's years in Minnesota, he quickly became a recognized leader in American surgery. His pioneering work involved the areas of total blood volume determination, coronary artery revascularization, measurement of tissue blood flow, organ transplantation and surgical oncology. In 1965, Dr. Aust was contacted by Dean Carter Pannill from San Antonio. Dean Pannill showed Dr. Aust a field with two silos on the outskirts of the city, where he was invited to head a new department of surgery. "The offer to help start a new medical school and develop the department of surgery was too good an opportunity to pass up," Dr. Aust later recounted. He was a highly skilled surgeon, an excellent teacher, a prolific researcher and an effective administrator. For thirty years, Dr. Aust principally devoted his considerable talents and energies to creating well-trained, competent surgeons. During his tenure as the chairman of surgery, he trained more than 150 surgeons. As a testament to Dr. Aust's educational leadership, these surgeons have changed the surgical landscape of San Antonio, South Texas and the world. While building a highly productive department, Dr. Aust fostered an atmosphere of a true surgical family. Many of the founding faculty members remain on the staff to this day and most graduates of the surgery residency program are active members of the J. Bradley Aust Surgical Society. 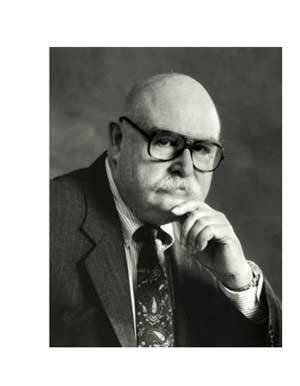 Dr. Aust retired in 1996 but maintained an active clinical and educational presence for the next fifteen years. During that time, the Aust family established the J. B. Aust, M.D., Ph.D. Endowed Chair in Surgery at UT Health Science Center. Dr. Aust is survived by Constance, his wife of sixty years, their six children, twelve grandchildren and four great-grandchildren. "It has been my good fortune to have had many colleagues who have enriched my academic career. I must now bring this odyssey to a close. It has been a marvelous 50 years, and for me a golden age of surgery...I am deeply indebted to all my teammates, both mentors and colleagues, who shared this odyssey with me - my journey as an academic surgeon." Memorial service arrangements are pending and additional information will be shared as it becomes available. Memorial 'Celebration of Life' services were held 11:00 a.m. Wednesday, March 24 at the Porter Loring Chapel, 1101 McCullough in downtown San Antonio. In lieu of flowers memorials may be made to Hospice Christus Santa Rosa, 4241 Woodcock Drive, Suite A-100, San Antonio, Texas 78228; JB Aust Surgical Society c/o John Myers @ UTHSC 7703 Floyd Curl Dr., San Antonio, Texas 78229; or Reaching Maximum Independence (RMI), 6334 Montgomery, San Antonio, Texas 78259. Please click here for the Aust Society welcome page.